Updated: Dec. 15 3:00 p.m. When First grade teacher Kaitlin Roig at Sandy Hook Elementary, began hearing gunfire she somehow managed to fit her 15 students into a bathroom, ultimately saving their lives. 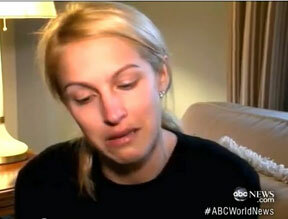 Watch the emotional interview with ABC as Roig describes the sequence of events that took place in her classroom. The newest information will always be posted at the top of our news feed. Quick News bringing a national news event to one location. Charlotte Bacon, 6, Daniel Barden, 7, Rachel Davino, 29, Olivia Engel, 6, Josephine Gay, 7, Ana Marquez-Greene, 6, Dylan Hockley, 6, Dawn Hocksprung, 47, Madeline Hsu, 6, Catherine Hubbard, 6, Chase Kowalski, 7, Jesse Lewis, 6, James Mattioli, 6, Grace McDonnell, 7, Anne Marie Murphy, 52, Emilie Parker, 6, Jack Pinto, 6, Noah Pozner, 6, Caroline Previdi, 6, Jessica Rekos, 6, Avielle Richman, 6, Lauren Russeau, 30, Mary Sherlach, 56, Victoria Soto, 27, Benjamin Wheeler, 6, Allison Wyatt, 6. Portland, OR - According to the Clackamas County Sheriff’s office an adult male entered the Clackamas Town Center’s food court around 4:30 p.m. CST opening fire killing two people and leaving one victim with serious injuries. The shooter apparently died as a result of a self-inflicted gunshot wound. The suspect was an adult male. Press the play arrow as Argentine Cardinal Jorge Bergoglio elected pope makes first appearance as we speak. 2:23 p.m.